The 2019 UT Cotton Focus is tomorrow, Friday Feb. 15th. The meeting will be held at the West Tennessee Research and Education Center (605 Airways Blvd, Jackson, TN 38301). 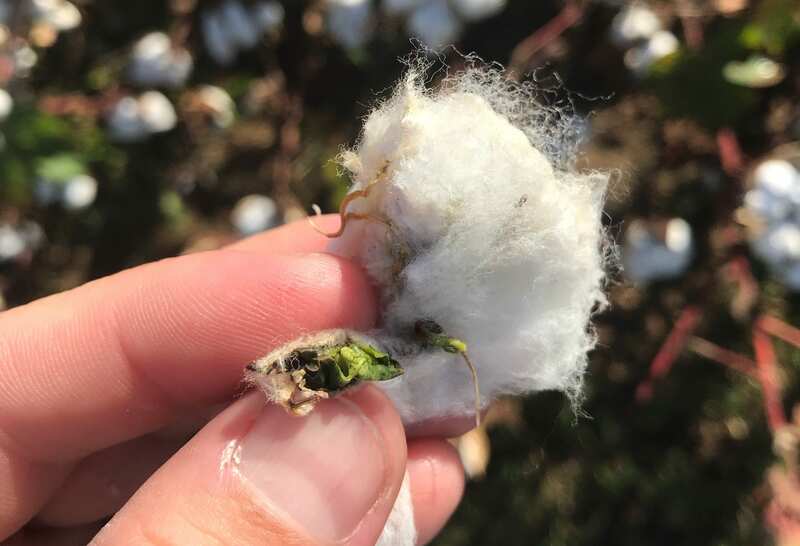 The 2019 UT Cotton Focus is only a few weeks away. This year’s meeting will be held at the West Tennessee Research and Education Center (605 Airways Blvd, Jackson, TN 38301) on Friday, February 15th. Registration begins at 8:00 AM with opening remarks beginning at 8:25 AM. 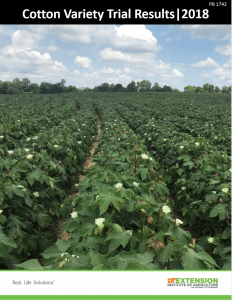 This year’s event will feature a round-table on auxin herbicide stewardship and regulation as well as a general cotton specialists’ roundtable. Additionally, UT Specialists will be presenting information on managing resistant bollworms, variety selection, new diseases, and economic considerations for 2019, among other pertinent information. We will also have an update on boll weevil eradication and a report from the National Cotton Council. The meeting will close with a provided lunch. Pesticide re-certification and CCA points will be available. Look forward to seeing you there! The 2018 TN Cotton Variety Trial Results Publication (PB1742) is now available online. This document contains detailed results from all harvested trails in the 2018 University of Tennessee Cotton Variety Testing Program. This expanded publication follows the recently published summary publication, the 2019 TN Cotton Variety Guide (W285) which was released a few weeks ago. The tech-trait diversity in the top performers again highlights the excellent yield potential, stability and fiber quality currently available in commercial cultivars regardless of tech platform. Trial results reported from the 2018 season include 58 varieties entered into 7 Official Variety Trials (OVTs) and 18 varieties entered into 10 County Standard Trials (CSTs). Both OVTs and CSTs were scattered throughout TN’s cotton producing counties. Additionally, in-season plant measurements and multi-year yield averages were reported for the OVTs. We will be releasing results from a June planted OVT later this winter, so keep an eye out for those results on this blog. Special thanks to all those who participated and/or contributed to the program during the 2018 growing season, and look forward to seeing many of you during our 2019 meetings. The 2019 Cotton Variety Guide is now available online. This document summarizes results from the 2018 University of Tennessee Cotton Agronomy program and serves as a precursor to a full release of trial results in PB 1742 to come within the next few weeks. 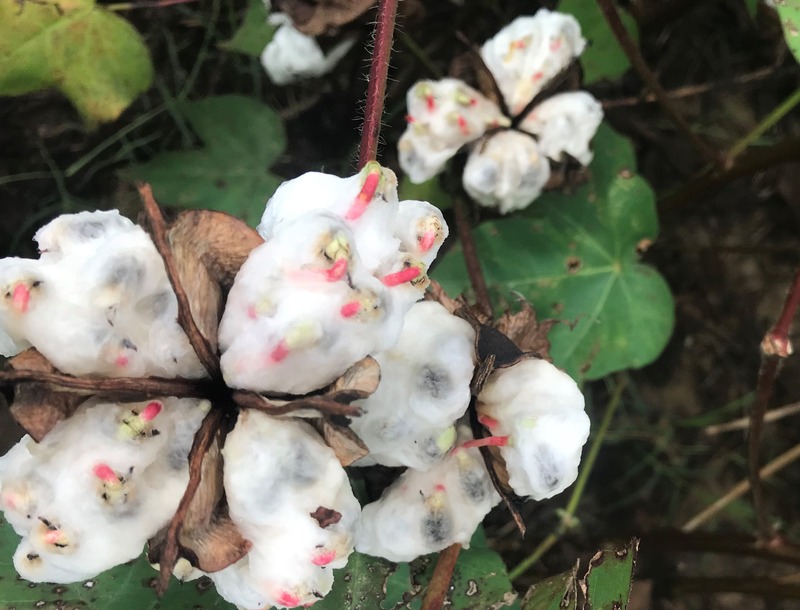 Summary tables from the 2018 season were calculated from six Official Variety Trials (OVTs) and eight County Standard Trials (CSTs) scattered throughout TN’s cotton producing counties. To access the document click the adjacent image or the hyperlinks above or below. Special thanks to all those who participated and/or contributed to the program during the 2018 growing season. When should I resume picking? 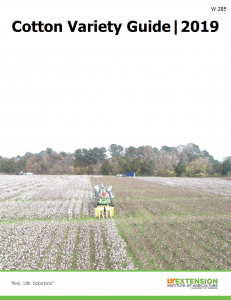 Author: Tyson Raper, Cotton & Small Grains Specialist Comments Off on When should I resume picking?